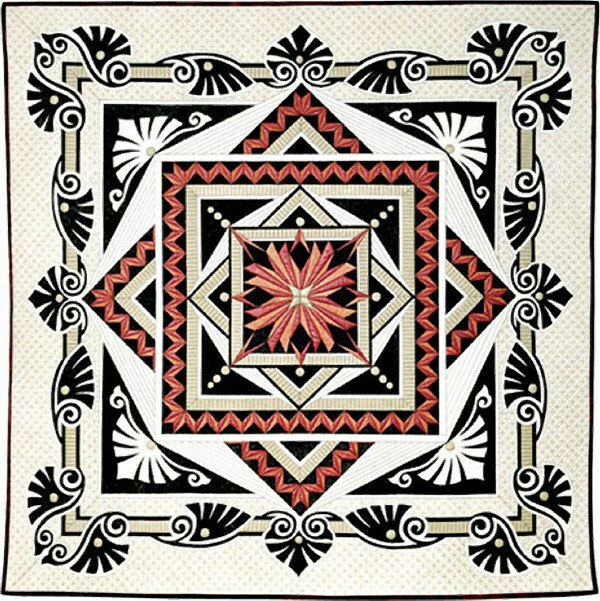 Quilter Almira Buffalo Bone Jackson was faithful to her ancestral traditions—hunting, tanning hides and drying meat. But she said, when she was finished with her tasks, she would return to quilting. 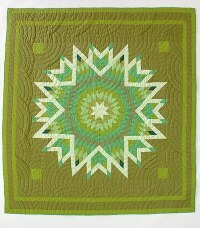 “Twirling Leaves” (1968- 1988) in brown, peach, salmon and calico, with a central star motif surrounded by large leaves is quilted in a clamshell pattern.